A GIFT CERTIFICATE IS THE PERFECT SOLUTION ~ CHOOSE IN INCREMENTS OF $5. SIMPLY FILL IN THE INFO BELOW AND AN EMAIL WILL BE SENT TO THE RECIPIENT WITH A LINK TO THE SITE TELLING THEM WHO THE GIFT IS FROM AND HOW MUCH IT IS. IT IS SO SIMPLE AND EASY TO DO! 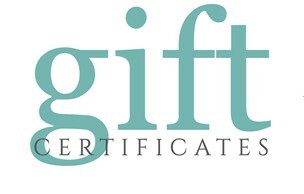 Please note: Gift certificates hold no monetary value and can only be redeemed for merchandise at www.nelleandlizzy.com. Gift certificates can not be used to purchase additional gift certificates. Items returned using gift certificates will be issued store credit. All gift certificates are valid for one year from date of purchase. All gift certificates will be emailed immediately following checkout. You will also receive a an email receipt in the mail. If the person does not receive it, just give us a call at 978.792.2555.